Find Buckhead Atlanta, GA Condos for sale. View Photos, Maps and MLS Data Now! Buckhead Collier Forest - French Doors Leads To Pool And Private Backyard. 3-Car Garage. MLS#6539515. Ansley Atlanta Real Estate, Llc. 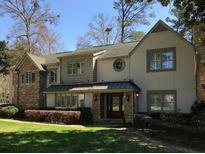 Pine Hills Buckhead - True Value In Desirable In Town Neighborhood. MLS#6539589. Palmerhouse Properties. Buckhead Collier Forest - Fantastic Cul-De-Sac Street With A Great Sense Of Community! MLS#6539047. Ansley Atlanta Real Estate, Llc. Buckhead Collier Forest - Plenty Of Room For A Pool And Play Area In The Green Backyard. MLS#6539197. Dorsey Alston Realtors. North Buckhead - Future Bonus Room, Mudroom W/ Built-In Cubbies, 3 Car Garage, Covered Porch W/ Fireplace & Private Level Backyard. MLS#6538880. Harry Norman Realtors. Buckhead Collier Forest - On The Main There Is A Room And Bath That Could Be An Additional Bedroom. MLS#6538397. Berkshire Hathaway Homeservices Georgia Properties. 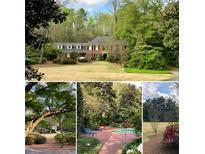 Tuxedo Park Buckhead - Private Wraparound Deck Overlooking Woods And Lower Level Patio. MLS#6536357. Exp Realty, Llc..
Buckhead Collier Forest - Minutes Away From Public/Private Schools & I-75. MLS#6538355. Ansley Atlanta Real Estate, Llc. Buckhead Collier Forest - Near Phipps, Lenox, Ga400. Fabulous Public Schools MLS#6538317. Keller Williams Rlty, First Atlanta. Buckhead Collier Forest - Elegance Combined With Liveability For Todays Lifestyle - Truly A Special Place! MLS#6537155. Atlanta Fine Homes Sothebys International. 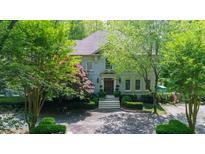 Tuxedo Park Buckhead - 2 Car Garage And Parking Pad. MLS#6537702. Ansley Atlanta Real Estate, Llc. North Buckhead - Addit'L Bedroom Suite Above Garage With Its Own Staircase, Full Bath & Hvac Controls, Perfect For Home Office! MLS#6536563. Atlanta Fine Homes Sothebys International. Buckhead Collier Forest - Designs For Additional 3 Car Garage Are Done. MLS#6536604. Atlanta Fine Homes Sothebys International. Multitude Of Dining Retail Shops And Steps To The Buckhead Marta Station. MLS#8563772. Atlanta Fine Homes Sotheby'S. Buckhead Collier Forest - Incredible Home On Over 3 Acres. MLS#6536277. Atlanta Fine Homes Sothebys International. Buckhead Collier Forest - Finished Lower Level, Craft Room, Dark Room, Wine Closet, Family Room,Exercise Room, & Additional Bedroom & Bath MLS#6534897. Beacham And Company Realtors. Buckhead Collier Forest - Daylight Basement Level Offers Recreation Room With Built In Cabinetry & Opens To Gorgeous Grounds W/ Blue Stone Hardscape, Pool/Jacuzzi/Fire Pit/Outdoor Viking Fully Wired Bar&Grill For Entertaining. Jackson Elementary. MLS#6534275. Atlanta Fine Homes Sothebys International. Buckhead Collier Forest - Also Featuring A Sunroom, Guest Suite, Wine Cellar, And An Exercise Room. MLS#6534334. Beacham And Company Realtors. Buckhead Collier Forest - Well Positioned For Entertaining, All Schools, Shopping & Restaurants In Buckhead. MLS#6534341. Atlanta Fine Homes Sothebys International. North Buckhead - Floor-To-Ceiling Windows Throughout Provide Spectacular Views Of The Lush, Wooded Property W/Multiple Entertaining Areas & A Large, Turfed Backyard. MLS#6533754. Ansley Atlanta Real Estate, Llc. Buckhead Collier Forest - The Lower Level Has A Tv/Workout Room And A Guest Suite That Opens To The Backyard. MLS#6532700. Dorsey Alston Realtors. 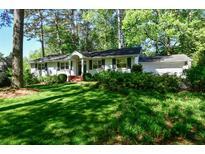 Buckhead Collier Forest - Easy Access To Interstate & Zoned For Jackson, Sutton & North Atlanta Schools. MLS#6533023. Imagine Associates, Llc. Buckhead Collier Forest - Features Include A Private Gated Courtyard, 6 Fireplaces, Slate Roof, Copper Gutters, Pebble Tec Pool, Gazebo, Garage, Generous Guest Parking, Recreation Court And Generator. MLS#6532011. Harry Norman Realtors. Buckhead Sandy Springs - Intelligent House, Powered By Control 4. MLS#6532161. Ansley Atlanta Real Estate, Llc.